On Friday, the 2014 Western New York Poker Challenge continued with Event #12 $200 No Limit Hold’em Deepstack Turbo, which attracted 141 entries to the Seneca Niagara Falls Casino & Hotel and created a prize pool of $22,933. It took 29 20-minute levels of play before a winner was determined, and that man was Andy Spears, who took home $6,422 for his performance. 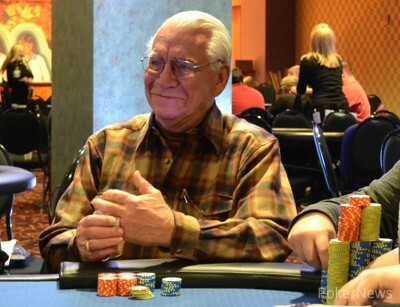 According to our Ones to Watch preview, the Seneca Poker Room has been Spears' personal playground for the past year. Last August he took down the Summer Slam Series Main Event for $23,700, and a few months later he went wire-to-wire to win the $1,500 Fall Poker Classic Main Event for $52,410. 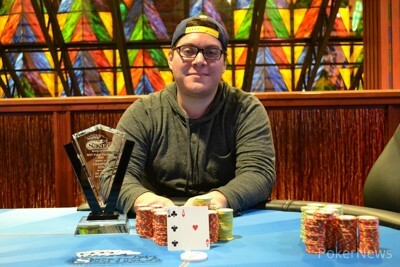 In addition, back In September he claimed his first World Series of Poker Circuit ring in Cincinnati, winning a $365 Turbo tournament for $10,801. The top 15 finishers of Event #12 each locked up $390, and the first to claim a payday was Greg Long. In the last hand of Level 21 (8,000/16,000/2,000), three players saw a flop of and Long moved all in for roughly 70,000 from the big blind. Barry Kruger folded, and then Kevin Volz wasted little time in calling. Long had flopped middle pair, but it was no good as Volz held top pair. 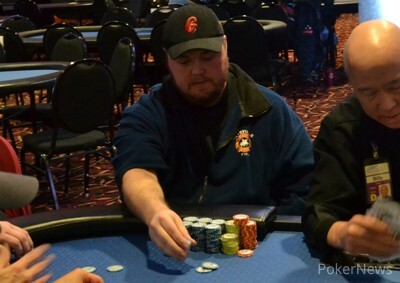 Neither the turn nor river helped Long, and he was eliminated in 15th place for $390. 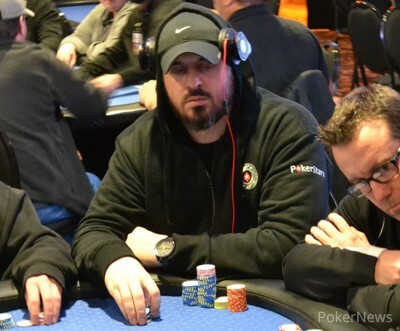 From there the in-the-money finishes continued as Dennis Danielski (14th - $390), Hoss Colao (13th - $390), Glenn Pawlowski (12th - $470), Jeff Kandefer (11th - $470), Lou Dodaro (10th - $470), Todd Saffron (9th - $573), Tom Mistretta (8th - $573), Jim Burkett (7th - $917), and Barry “The Beast” Kruger (6th - $1,193) all hit the rail. Kruger fell in Level 27 (30,000/60,000/5,000) due to back-to-back hands. In the first, Kruger raised preflop and Volz called from the small blind, the flop came down and a raising war saw them get a lot of chips in the middle. Kruger seemed devastated that his flush draw was no good, and he began calling for a queen. The turn wasn't it, and neither was the river. Both players made a flush, but of course the ace-high one of Volz was best. Kruger was left with just 160,000 after the hand. In the very next hand, action folded to Spears in the small blind and he moved all in to put the pressure on Kruger, who thought for a bit before calling off his last 85,000. Kruger was behind, but he was drawing to two live cards. The flop was as dry as could be, and the turn actually left him drawing dead. The meaningless was run out on the river for good measure, and Kruger shook hands with each of the remaining five players before exiting the tournament area. Not long after, David Schrader fell in fifth place for $1,559, and he was followed out the door by Jonathan Cosme in fourth for $2,144. After Cameron Bartolotta fell in third place, Spears and Volz engaged in a back-and-forth heads-up match. Eventually Spears came out on top, and he was able to add yet another title to his Seneca Niagara Falls résumé. Congratulations to Andy Spears, winner of the Western New York Poker Challenge Event #12! The PokerNews Live Reporting Team will be at Seneca Niagara Casino all weekend long to bring you live updates from the 2014 Western New York Poker Challenge, including the $1,100 Main Event that begins on Saturday. Andy Spears moved all in from the button, and Kevin Volz called. The stacks were about even, so this flip was virtually for the title. Spears pulled ahead immediately on the flop, but Volz picked up some flush outs on the turn. However, the completed the board to give Spears yet another title here at the Seneca Niagara Casino. Volz picked up $3,967 for his runner-up finish. Kevin Volz opened for 240,000 only to have Andy Spears announce that he was all in. Volz wasted little time n calling off for 1.42 million and the cards were turned up. "Pair over pair, that's unfortunate," Spears said. Indeed it was a bit of bad luck, but after the appeared on the flop followed by the on the turn, Spears didn't get greedy. "I'll take a chop," he said. Unfortunately that didn't happen as the blanked on the river. With that, Volz now has the chip lead. Kevin Volz folded his button, and Andy Spears shoved from the small blind. Cam Bartolotta called from the big and barely had Spears covered. The board ran out , giving Spears a huge double. Bartolotta committed his last 100,000 in chips on the next hand and was eliminated when Kevin Volz made a flush with on the board after Volz and Spears checked it down. We're down to our last two players. Spears has about a two-to-one lead on Kevin Volz. Jonathan Cosme, who was the short stack among the final four, moved all in under the gun and action folded to Cameron Bartolotta in the big blind. He didn't realize Cosme, who failed to move any chips forward, had moved all in, but as soon as he became aware he snap-called. Bartolotta apologized for misunderstanding and the delayed call, which didn't seem to bother Cosme. The flop left Cosme in need of either a six or running straight cards, but the turn took the latter option away. Cosme needed a six and a six only on the river to stay alive, but it was not meant to be as the blanked. 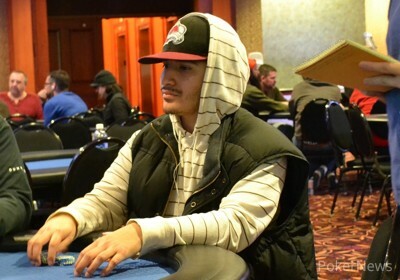 Cosme will take home $2,144 for his fourth-place finish. The shove-fest rolls on. Kevin Volz min-raised to 160,000 from the cutoff, Andy Spears shoved for around 1.1 million from the button, and David Schrader called all in from the small blind. Volz thought for a moment before folding king-queen with the . More on that in a minute. The dealer rolled out a board of , and Scharder was eliminated. Had Volz called Spears' shove he would have made a king-high flush and eliminated both players. Nonetheless, we're now down to the final four.